Thinking… that laying down in the afternoon has its perks. Sure my house is messier than normal, I’m making a lot of grilled cheese for dinner, and I’m behind on emails, but it also means I take a little more time to slow down and enjoy my kids. On the afternoons Henry goes to preschool, Kimball makes sure we have “quiet time” in my bed. We normally tell each other stories, look through our picture album, or read books, but on this day he fell asleep. 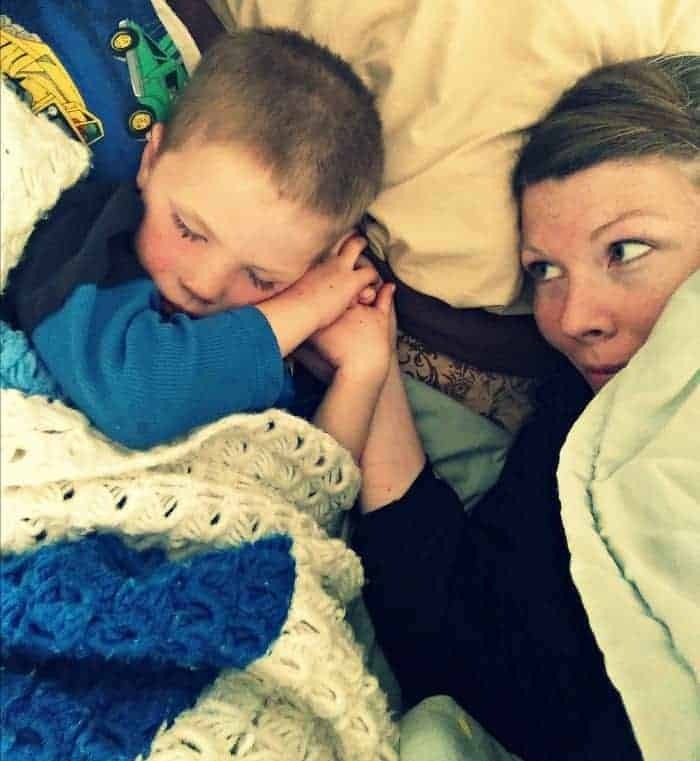 I don’t know how long he’ll ask me to hold his hand while he rests (and at night before he falls asleep), but I try to cherish each time like it’s the last. The funny thing about your kids getting bigger is that sometimes “the last time” sneaks up on you and is over before you knew it was happening. You can’t often plan the last time they nurse, fall asleep in your arms, or want to hold your hand. Feeling… excited to find out the gender of the baby! We were supposed to know a week ago but the ultrasound guy got a nasty flu and they pushed my appointment back to this coming Thursday. The general consensus of the house is that we are ready for another girl, but the kids also know that we don’t get to pick because God sends who needs to come. You can’t really argue with that. Watching… Call the Midwife. I am not much of a show person (actually, we never watch shows), but my productivity is zero at night after the kids are in bed. That was when I used to blog and work, but now I crawl into bed and write, read, or watch an episode of Call the Midwife once or twice a week. It makes me cry every single time. It’s on Netflix just FYI and I’m really liking it. it is such a gorgeous book from fellow blogger (who has no idea who I am by the way, I just really like her) Aimee of Simple Bites. If I ever write a cookbook it will feel very much like this one. 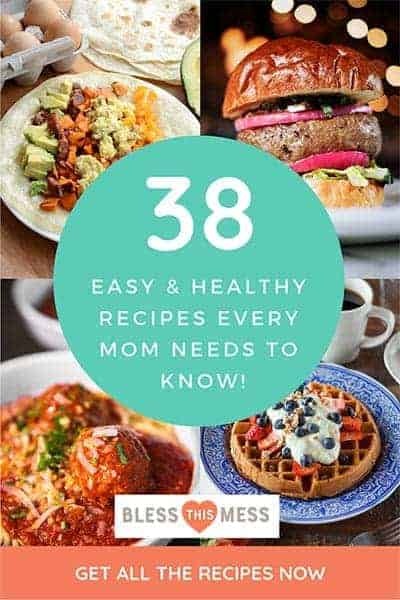 The recipes are arraigned seasonally, each sections starts with a beautifully written memoir, and it includes not only pictures of food but general homesteading tips as well as pictures of her family. It is beautiful. I cried no less than twice while reading through the book. I kid you not, I feel like I am part of her family sometimes. I’m in love with it and can’t wait to make her spiced carrot muffins, maple snow candy, buckwheat pancakes, and homemade burger buns. Take a peak at it if you see it in the library or your local bookstore. Excited… about a bit of snow! We had snow around Christmas, didn’t see a lick of it in January, and this week we had eight glorious inches! 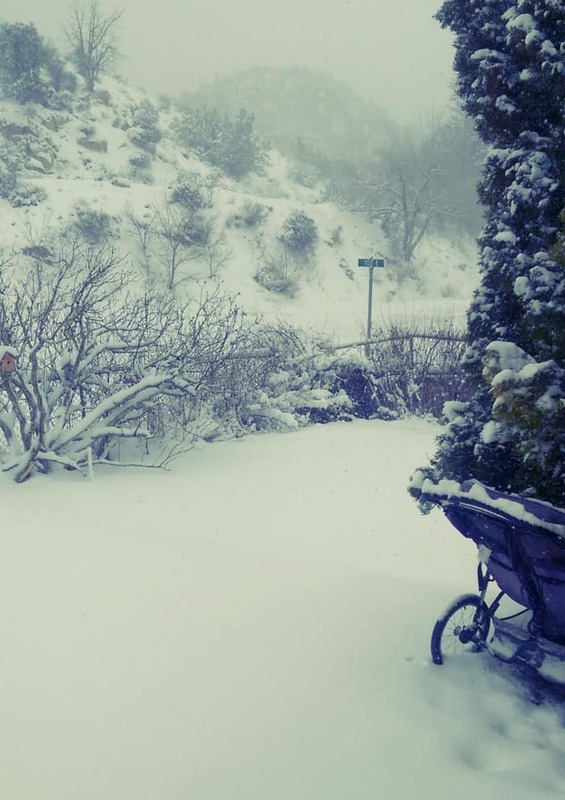 The best part about living in the high desert is that the snow doesn’t stick. We played with it for a few days and now it’s about 90% melted. So nice not to deal with that yucky gray slush for weeks. The only downside is our school does not believe in snow days, ever! They just don’t happen. I packed Macey to school on a sled this morning because it was easier than digging out the Suburban. Wondering… when my baby turned into a tyrant toddler. because I had no idea what I was doing. Good move, the incubator came with bare minimum instructions. So they came, I got some eggs from my friends, and now they are sitting right on top of my computer desk! I think I’ll write a whole post on this because it’s really really neat. In about 19 days we should have chicks. I feel like they are my grandchicks too because they are coming from the hens I gave up for adoption. I’m so excited! 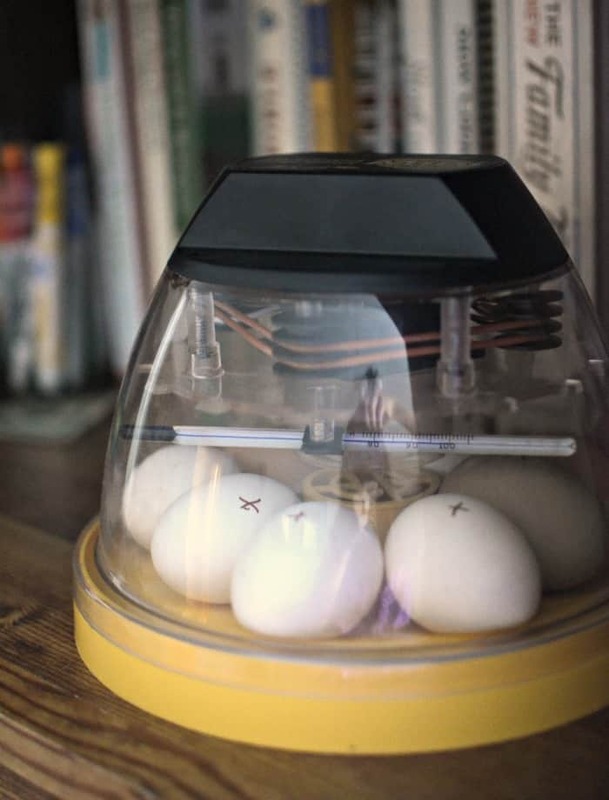 The incubator is clear so I’m hoping we’ll be able to watch the hatching (or pepping as it’s called) process! Wish me luck. There’s a lot of factors that go into a successful hatch and I’m excited. I have 9 eggs in there right now and my goal is to have at least 4 chicks in the end (I’m hoping for more, but 4 is a realistic goal for my first time I think). Stressed… ha! That’s not one for a blog post, but let’s just say it has to do with neighbors, Planning and Zoning meetings, and town ordinances. Proud… of my momma! She’s such a blessing in my life. She went to collage for drafting and has been hand drawing the plans for our house the last few months. I just got our final revised copies in the mail and they are gorgeous. 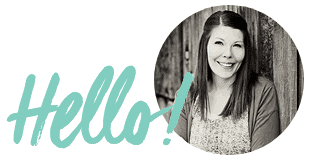 She has such an eye for layout, spacial planning, and flow, and let’s be honest, that is the biggest help ever when you are designing your own home. I’m ridiculously proud of her skill set and so excited to share her hard work with you! Wanting… to tell you a crazy story. So we’ve had a mouse in our house for a few weeks. 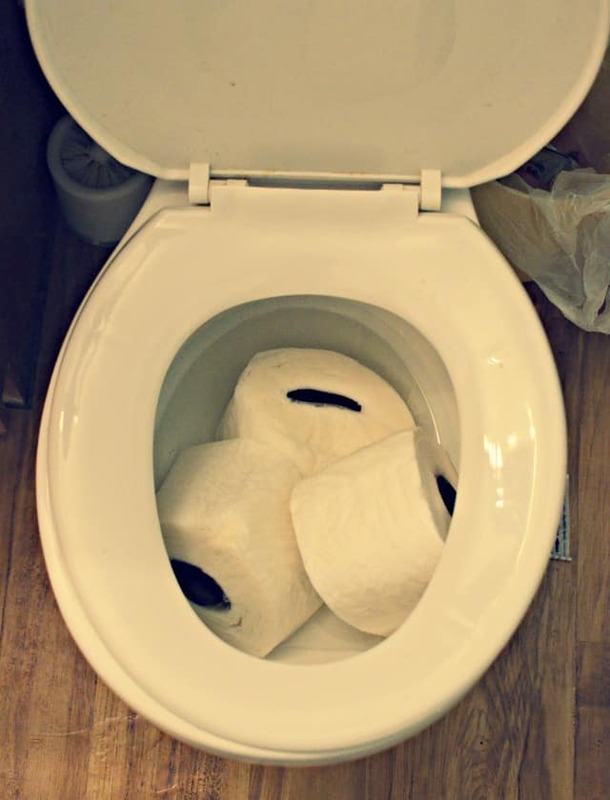 I’ve never found any droppings but we’ve seen it run from the kitchen to the bathroom late at night. It’s evaded every trap and I actually thought it might have moved out. Thomas saw it late at night and set up a trap right behind the bookcase where it was but it was just too smart. It ran into the bathroom, he chased it, he stepped on it’s tail and CAUGHT it! He used a towel to pick it up and stuck it in an empty milk carton to show the kids in the morning (of course he gave it leftover mac-n-cheese, water, and an air hole overnight). So we wake up and the kids are in love! 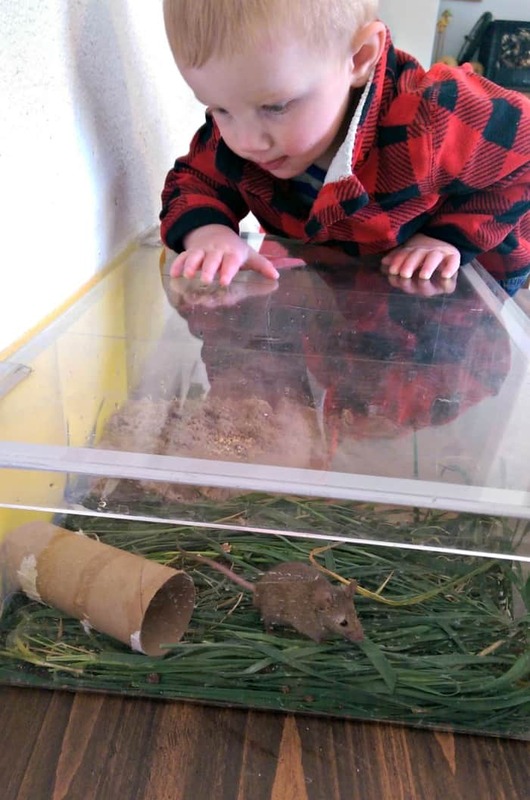 Thomas went out and found an old jerky box from the store and made a really cool mouse house. So now I have a little field mouse in a box clear box on my table. The kids love her and have named her Rosie. She has dirt to dig in, grass to burrow in, and she really is fun to watch. It’s a little odd but we are enjoying our first indoor pet for the time being. Wishing… someone would make me this cake. Omergosh doesn’t it look fabulous. Eating… Lots of sandwiches. I’ve been liking hot ham and Swiss and hot turkey and pepper-jack. I’ll eat them open faced with a little mayo and spicy brown mustard with lettuce on top. I ate nachos/taco salad almost every day for lunch my last pregnancy, but these warm cheesy sandwiches are king this time around. They remind me of working at The Big Cheese in high school. It’s probably good that deli is a 26 hour drive away or I might eat there every day for lunch. Drinking… Fresh lemonade! I’ve been craving lemonade like it’s my job. My normal recipe is awesome but it probably has a little more sugar than I should have. To remedy that I’ve been blending up whole frozen strawberries with the water and then adding my fresh lemon juice. I’ll add maybe half the simple syrup and have been relying on the strawberries for added sweetness. I mindful of how much I drink but totally enjoy the treat. Loving… all the things! Here’s a smattering of what has my heart at the moment. Vintage sheets, duck eggs (the middle yolk is from my chicken egg and the 4 on the outside are duck eggs from my sister-in-law. The shells aren’t much bigger but the yolks sure are! 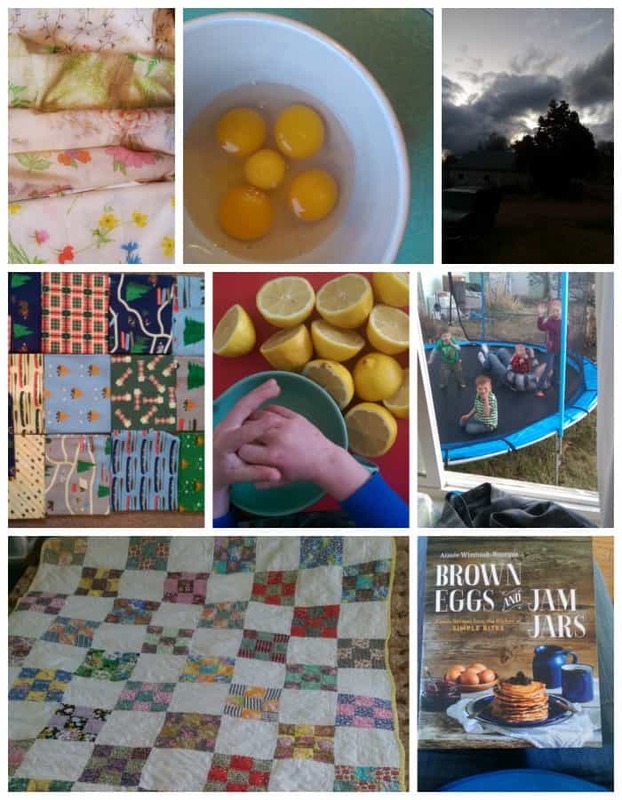 ), where I live, camping material (my mom is making the boys a quilt with the camping fabric and me a quilt from the sheets I’ve been collecting for years! ), little kitchen helpers, my view from my kitchen window while I’m making dinner, the Vintage hand-stitched quilt I scored on Amazon for $65, and of course the lovely Brown Egg and Jam Jars by Aimee Wimbush-Bourque (and if you look close you can see my little baby bump sticking out over my lap!). As hard as pregnancy, emotions, and young mothering is, I have such a good and happy life. Posts like this are therapeutic and good for me; my public way of counting my blessings. Thank you for letting me share them with you. Oh Melissa! Remember when your mom visited and we had the mouse?! I remember she heard me scream… yeah, we totally wouldn’t be keeping it. Go you! 🙂 And I hope you’re feeling more yourself. Numero uno – love the mouse’s name, no wonder baby loves her, and 2) I hope your chicks hatch. Kind of a sweet little story if I say so myself! I love these posts. I imagine that we’re sitting across from each other while you tell me all these things, and we’re sipping some of that lemonade. You’re such a good mama keeping that mouse! I love these posts, what fun adventures you have! I can’t wait to hear more about the chicks and Rosie the mouse!